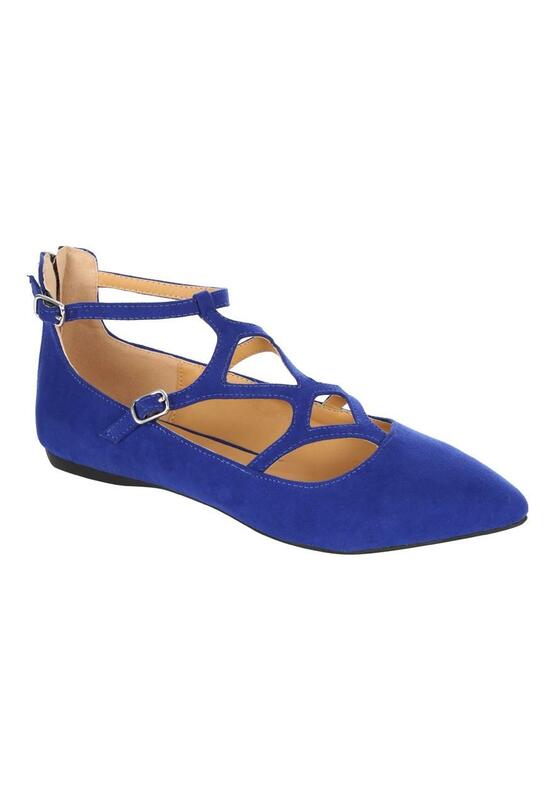 Step out in style in these women's mid blue multi strap shoes. With a pointed toe and two buckled ankle straps, these shoes are a striking choice for casual occasions. I love the shoe and the fit is good but i am unsure as yet whether to keep them as the colour is not really very this season, if they had been in black it would have been a definite buy and in the size 7, my normal size!